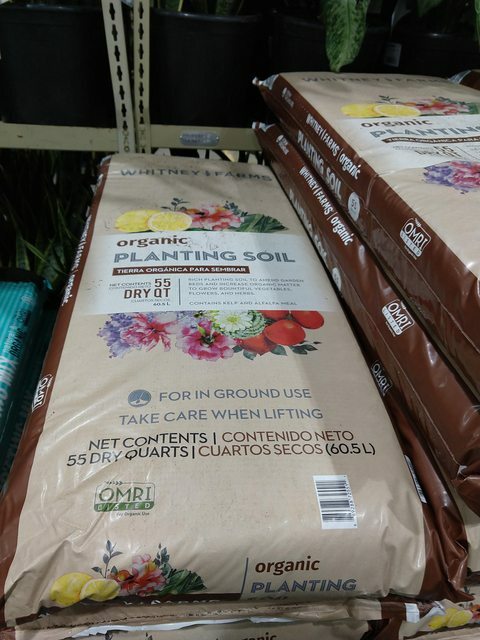 Soils were just stocked at Costco this weekend. For inground, Whitney Farms is back. Miracle Gro Organic in the white bag is back too. I have two huge bales of Pro Mix in the garage, but caved for the convenience of a 55 quart bag for $9.99, MISTAKE !!! Yes, it is heavy and dense and not a speck of perlite, but I knew that was the case. I brought one bag straight in to my potting area aka dining room table.No problems really, other than the density of the product itself.. Went out to the bag in the garage to fill my earthbox jr for indoor spinach. FOUL SMELL. SO lucky this wasn't the bag I brought inside. Now I have concerns eating the stuff that I already planted in this. Should have known better than expect a consistent quality product from MG. What a mess to store and return an opened bag. I was thinking of adding new pots outside if I could full up 5 gal buckets this season for cheap. Approach with caution if you pot up indoors. Go the extra mile for something better and a few more $$$. Last edited by greenthumbomaha; February 18, 2018 at 07:26 PM. Thanks for the heads up, Lisa. I still have the 2 bags of WF in the shed scheduled to use this spring. I also have 'made' a good amount of leaf mold from last year's leaf pile. The leaf mold doesn't have any nutrients per se, but it does help with drainage. We have such clay-y soil that it always needs help! I won't use any of the above in pots. Or rather that is the plan. Its getting close for 2019 inventory. If anyone to the south already has garden products in stock, please let us kno9w what they are selling this year. Last year was the first year that my local store carried the bare root trees. Goodness I hope they come in later in the season. We are expecting potentially several inches of snow from three different storms this week. One is in progress now. Same soils as last year - the full garden section isn't in yet. I thought I would save some folks a trip to Costco (2019) and post some pics of the bags, price and ingredients. Location is SoCal. Thanks for posting , wish Costco had online inventory. Is Kelloggs much different than MG? Sticks & stones? HD started carrying the yellow bag Kelloggs last year and I wanted to try it but the bag was sopping wet. HD has an old fashioned bare yard for outdoor soil products like a Kmart. That plus the bee killing plants, ugh. 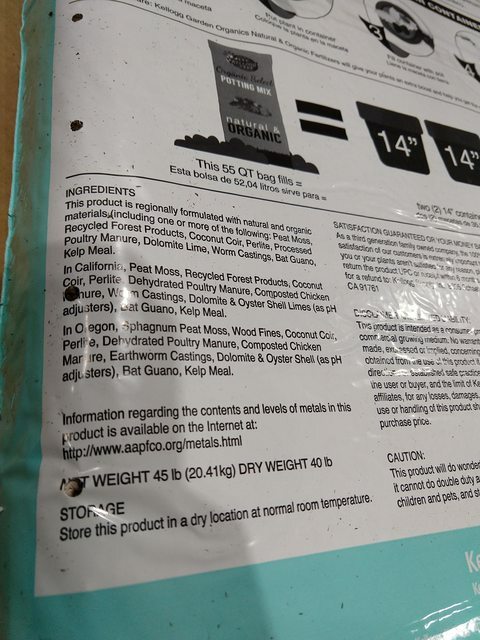 Kellogg is usually heavy on the "forest products" and it is listed as the first ingredient in all their bags at HD. 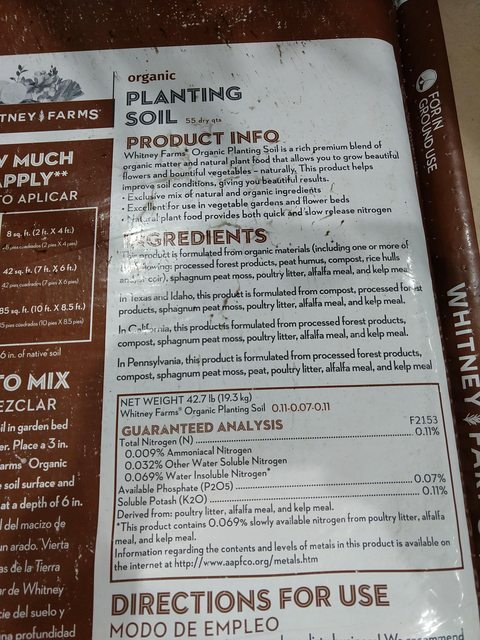 This potting mix is unique in that peat is the first ingredient. I think MG potting mix has peat as its first ingredient. Addendum: I have used almost every one of the different kellogg bags and have had a difficult time maintaining moisture. Last edited by shatbox; February 15, 2019 at 04:37 AM. 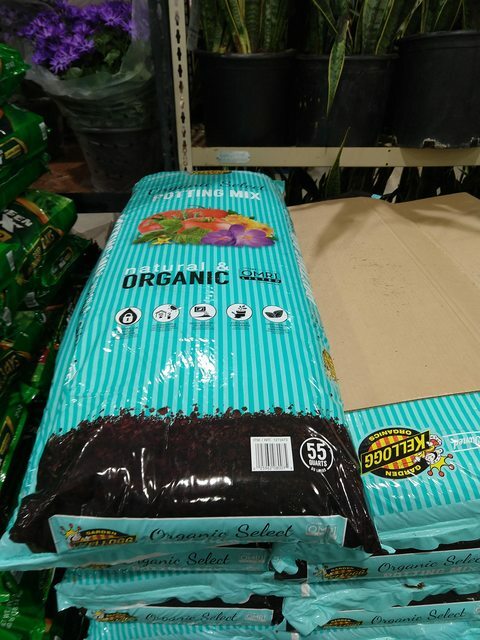 Sams Club has their own brand of potting mix now. I wish they had posted a picture of the contents on their website. Any opinions on this product?